Width 35 ft. 0 in. Depth 25 ft. 0 in. 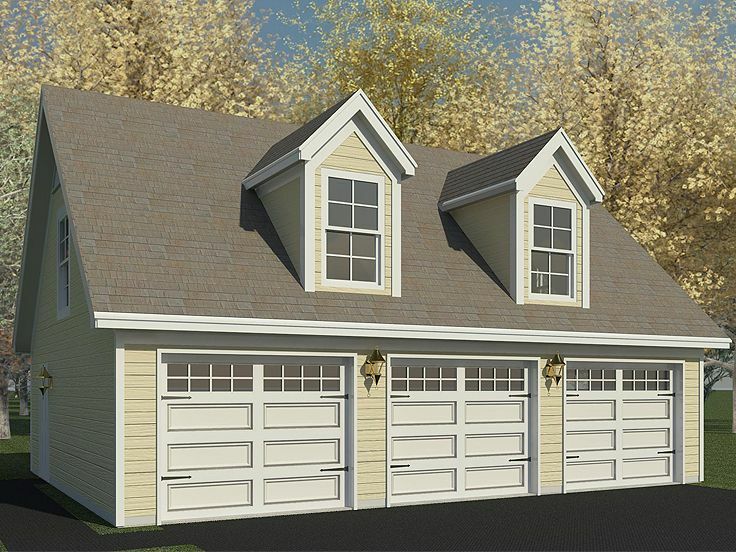 Cheerful dormers lend character and street appeal to this 2-car garage plan with workshop. 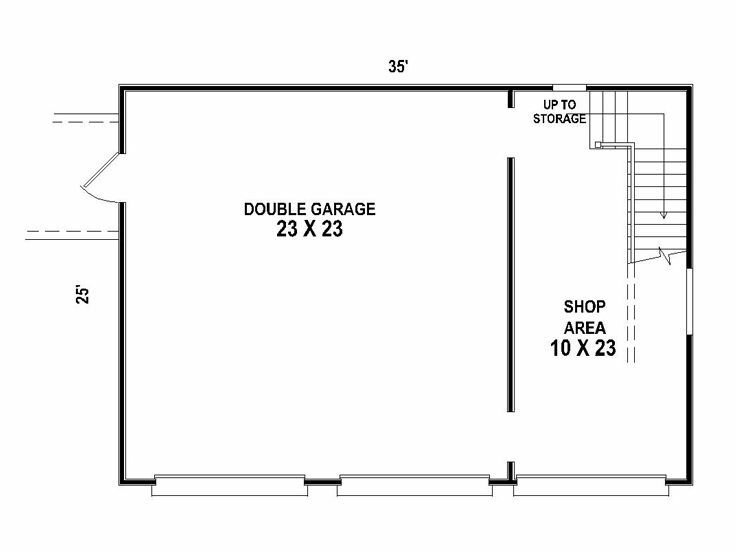 Behind three overhead garage doors lies 825 square feet of usable space. A wall divides the parking area from the workshop while still allowing easy access from one space to the next. Work on home repair projects or wood crafts in the workshop and park to automobiles in the double garage. 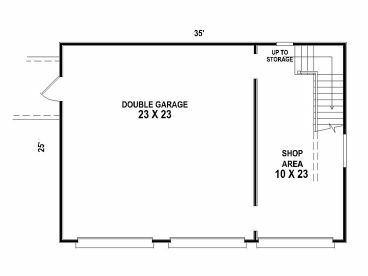 The workshop is 266 square feet and the garage is 559 square feet. Stairs in the shop area lead to the second floor, the ideal storage space for stashing boxes and seasonal items. If you are looking for parking, storage and a workshop, this garage loft plan with workshop delivers a winning design.